The Carepoint Health Liver, Pancreas and Biliary Disease and Surgery program is dedicated to providing the best care to Hudson County and New Jersey residents. The program is headed by Andrew de la Torre MD, FACS, with over 18 years of experience in surgery of the liver, pancreas, bile ducts, management of cirrhosis, portal hypertension, and liver cancer care. Dr. de la Torre was the first surgeon to perform minimal access liver surgery in the state of New Jersey. For patients who have been told they are eligible for surgery, our program specializes in laparoscopic surgery in patients with cirrhosis. 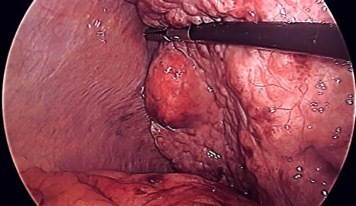 Dr de la Torre recently published "A Sling Technique For Laparoscopic Resection of Segment Seven of the Liver" in the Journal of the Society of Laparoendoscopic Surgery 2018 Apr-Jun; 22(2) In addition to advanced laparoscopic surgery, our program focuses on ways to improve early diagnosis of liver cancer. Our project "Electronic Health Record Year and Country of Birth Testing and Patient Navigation to Increase Diagnosis of Chronic Viral Hepatitis" was accepted for publication in the Journal of Viral Hepatitis. Through that project, over 1000 people were newly diagnosed with hepatitis C infection! Patients challenged with the most complex illnesses receive multidisciplinary care from our team, including medical oncologists, hepatologists, gastroenterologists, radiologists, and interventional radiologists. This balanced approach provides comprehensive care to patients and the best results possible. As liver, pancreas and biliary surgery push into new frontiers, so does the technology needed to plan these complex procedures. Whether laparoscopic or open surgery, every possible detail of the patient's care is analyzed to ensure surgery is safe and effective. 3D reconstructed imaging is used to plan your surgery. No aspect of your care is taken for granted. If surgery is not an option, our Interventional Radiology team offers Yttrium-90 Hepatic Artery Infusion, Hepatic Artery Embolization and Radio-Frequency Ablation to treat multiple types of cancers in the liver. For patients with liver cancer who are not eligible for liver transplant, we will work to treat your liver cancer and help you become transplant eligible. 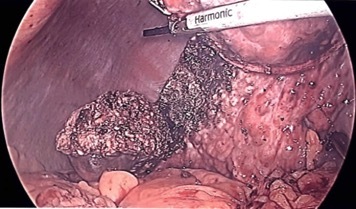 For patients with liver disease who fail medical management of ascites or gastroentestinal bleeding, our team regularly performs Transjugular Intrahepatic Porto Systemic Shunt (TIPS procedure) and surgical shunt. 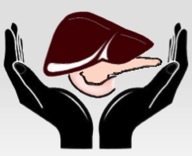 Patients can have their liver transplant evaluation performed locally, have their information compiled and sent with them to a transplant center.